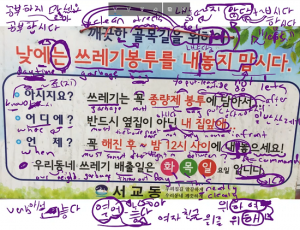 In the previous lesson, you learned how to add ~ㄹ/을 때 to words to have the meaning of “when.” In this lesson, you will learn about adding ~(으)면 to words to have a similar meaning. Let’s get started. To create the meaning of “when” or “if,” you can add ~(으)면to the stem of a verb or adjective. If we look at the meaning of ~(으)면 more deeply, it can be separated into three main usages. Notice in this usage that the action in the second clause is a supposition/assumption of what would happen when the first clause occurs. Both actions haven’t happened yet and the speaker is merely assuming what will take place. Keep this in mind for later because it will come up again. Here the event of “arriving at home” hasn’t happened yet. Therefore, the speaker is indicating that he/she will “do laundry” when this event occurs. In this example, the event of “arriving at home” seems inevitable and certain. Because it is certain that this action will occur, the translation of “when” is often used. Depending on the situation and context, “When you go to school, let me know” or “If you go to school, let me know” could both be appropriate. In these cases, you need to use the context to distinguish specifically what meaning is being implied. Much like the present tense, the action in the second clause is a supposition/assumption of what would have happened if the first clause had occurred. Notice that the translation of “if” is more appropriate when using ~(으)면 in the past tense. The use of “when” makes it seem like the action actually did happen – when actually it did not. Using ~(으)면 in the past tense is a common way that you hope or wish for something. Explaining this is beyond the scope of this lesson, but you will continue to learn about this usage in Lesson 61. In all of the examples above – in both the present and past tenses – the second clause is an assumption of what will happen (or would have happened). When indicating an assumption like this, it is also possible to conjugate the verb prior to ~면 first. The words need to be conjugated using the plain/diary form before ~면 can be added on. 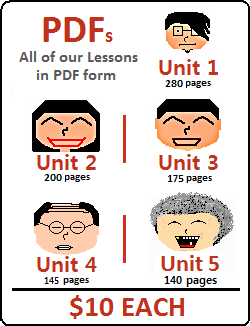 Make sure you remember your plain/diary form conjugations, introduced in Lesson 5. I usually refer to this addition as ~ㄴ/는다면 because it shows that the word before ~면 must be conjugated. You can think of ~았/었더라면 as one unit, but it might be helpful for you to see the purpose of adding ~더~ to other constructions. I discuss some of the usages of ~더~ in Lessons 117, 118 and 119. 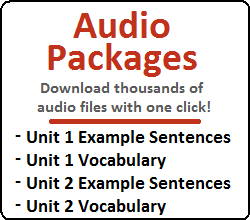 It is common to end these “assumption” sentences with ~ㄹ/을 텐데, which I discuss in Lesson 100. Want to see how ~(으)면 would be used in a Korean street sign? Watch me breakdown the usage in a YouTube video. I know it is tempting, but I actually hope you didn’t look ahead to those future lessons. We still have more to discuss in this lesson. Let’s move on and talk about another usage of ~(으)면. Notice in this usage that the events being described are not assumptions but are general facts. As these sentences are describing a general cause-and-effect – and not some event that happened in the past or will happen in the future, the final clause is typically conjugated in the present tense. Let’s move on and talk about another usage of ~(으)면. Again, as with the previous usage of ~(으)면, these sentences are not describing some event that happened in the past or will happen in the future. Rather, the actions are events that are repeated frequently. Therefore, the final clause of these sentences is typically conjugated in the present tense. In Lesson 7, you learned how irregular words change as a result of adding different additions. 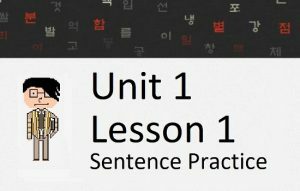 This is the first time you have been introduced to adding ~(으)면. Let’s look at how irregulars change as a result of adding this grammatical principle. Much like how additions starting with ㄹ can be attached directly to the stems of words ending in ㄹ, ~면 can be attached directly to the stems of words ending in ㄹ. Adding ~(으)면 causes a change to ㅎ irregular words. The ㅎ is removed, and ~면 is added to the stem. Anytime you have the option of adding ~(으) as part of a grammatical addition, the ㅎ will be removed from the stem and the grammatical addition without “으” will be added to the remainder of the stem. For example: 그렇다 + ~(으)면 = 그러면 (I discuss the meaning of 그러면 in the next section). Below is a table showing the changes that result from adding ~(으)면 to a word. 아니면 can be used to have this meaning of “or,” but another way to create this meaning is to use ~이나 or 거나, which is discussed in Lesson 58.